Need a snack? These easy appetizers are perfect for holiday buffets and game day noshing. Instead of buying pre-made dips, spreads, and snacks, try making your own at home. These easy appetizers are perfect for holiday buffets and game day noshing. 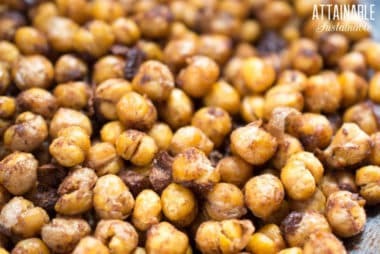 With these homemade options, we can snack to our heart’s (and belly’s) content without succumbing to plastic-packaged, ready-to-eat appetizers. Made with real food ingredients, these appetizers are free of preservatives and unpronounceable additives. If you’re trying to reduce your dependence on grocery stores, these easy appetizers are a great start. You’ll save money (have you seen the price of ready-made hummus??) and eliminate wasteful packaging by making your own snacks and hors de’oeuvres at home. Whether you’re a chip and dip person or you prefer crunchy tidbits for munching, you’ll find something here to delight your tastebuds. And hey. If you don’t tell people they’re a healthier alternative, they’ll never know. Scroll through the recipes below to find just the right snack for your family. 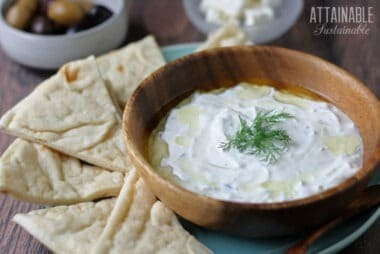 This healthy tzatziki sauce is light and refreshing – here’s how to make tzatziki sauce at home! It’s perfect for warm days. Serve it with olives and feta. 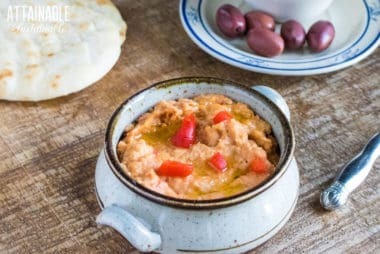 Save cash at the checkout line by making your own roasted red pepper hummus. 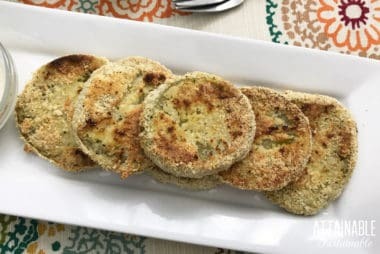 It’s a favorite appetizer at picnics and potlucks; serve with veggies or spread inside a wrap for lunch. 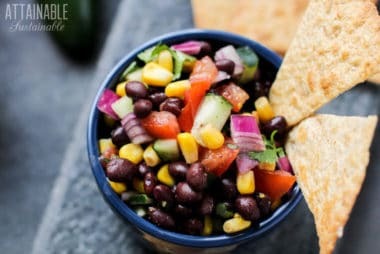 Make this Corn and Black Bean Salsa for Snacking — Or Lunch! This flavorful corn and black bean salsa looks beautiful on a buffet table, plus it’s super easy to make. It’s inexpensive, too! PLUS, by adapting the recipe a bit, you can transform this black bean dip into an easy and filling black bean salad. Homemade, good food for less and without excess packaging. 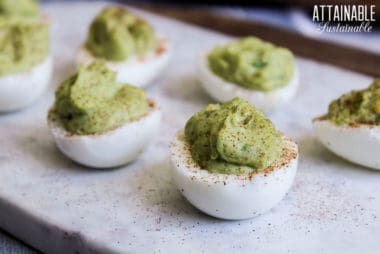 These avocado deviled eggs are the perfect appetizer. Filled with healthy fat and protein from fresh eggs, add them to your holiday table or tailgate party. In the springtime when your hens are laying a lot of eggs, or following Easter, you might find yourself with an overabundance of eggs. Here’s how to use them up! 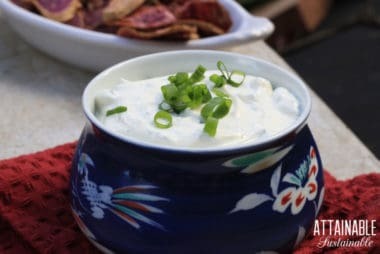 Made from fresh ingredients, this green onion dip recipe is a healthier stand in than store-bought flavor packets. Mix up a batch and serve it with fresh veggies or your favorite chip for your next Superbowl party or holiday appetizer buffet. 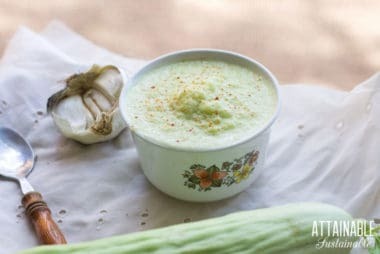 Make the most of garden fresh cucumbers – blend them up with fresh garlic to make a flavorful picante style cucumber salsa to add flavor to a meal.